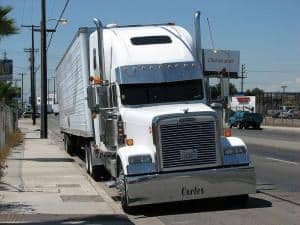 In the auto transport industry there are a few different ways that you can go about moving your vehicle, at least in terms of what type of carrier you want or need hauling your vehicle. The most common form of auto transport is by far open transportation. It is the cheapest and easiest form of transport to find given the fact that there are more open transporters on the road than any other type of carrier. They can haul up to ten cars at a time and offer door to door transport services from anywhere, to anywhere in the U.S. These carriers are best suited for vehicles that are driven often or that serve as your primary mode of transportation, or else a vehicle that will be filling that capacity. Enclosed transportation is a bit more expensive than open shipping, though it does protect your vehicle from all the dangers of the open road. Things such as rocks, dirt and dust, vehicular accidents, and more can damage your vehicle during transport on an open carrier – they do expose their vehicles to the elements, after all. Normally damage during transport is rare – only about 5% of vehicles transported are damaged in some way every year. Enclosed transport is definitely suited for vehicles that cannot run the risk of damage during transport. Typically vehicles that fall in this category include show cars, exotic sports cars or incredibly expensive luxury cars. A Rolls Royce is a vehicle that deserves enclosed transport; a Toyota Corolla would probably be best suited for open transport. Enclosed is generally more expensive, but worth the price if the car is too. Flatbed transportation is only used for vehicles that are too large, heavy or unwieldy to fit on a standard or enclosed car carrier. You can’t request flatbed services; they must be required by the vehicle you’re shipping. This includes pickup trucks and SUV’s with large lift kits, longer limousines, very tall cargo vans, irregular vehicles like stair cars or construction vehicles – you get the idea. Flatbed transporters are harder to find than open or enclosed shippers and are much more expensive than both, which is another deterrent when it comes to requesting flatbed shipping. If your vehicle can fit on an open carrier, book with an open carrier. Auto transport by rail is another carrier type, though we are hesitant to include it in this article because it’s almost impossible to find a route that trains run cars on anymore. There are some, but they are usually limited to the northeast and as such auto transport by rail is usually very expensive and limited to only a few pickup and delivery areas. You might as well not even search for transport by rail services considering a good 95% of the country is not covered by transport by rail. If you’re interested in transporting your vehicle to the state of Alabama, you can fill out our free online car shipping quote form and get an instant auto transport quote. You can book your auto transport order right there online or you can call our toll-free telephone number at 800-600-3750 to speak to one of our live auto shipping service representatives who can answer your questions and explain more about the auto transportation process.